Prince Fielder is the power-hitting 1B for the Detroit Tigers. Prior to joining the Tigers, Fielder spent his first seven MLB seasons with the Milwaukee Brewers, where he became a star. He was selected to three All-Star Games, while helping lead the Brewers to the postseason in both 2008 and 2011. Fielder, along with former teammate Ryan Braun, were a great 1-2 punch in the middle of the Brewers lineup, as Prince totaled 230 home runs, during his days with the Brew Crew. This past offseason, Fielder was the second biggest free agent on the open market, behind of course the great Albert Pujols. The Brewers knew that they had very little chance of keeping the big lefty bat in Miller Park. After a long process, Fielder finally signed with the Tigers, where his dad Cecil Fielder also starred. The Tigers signed Prince to a whopping nine-year/ $214 million contract. Fielder has gotten off to a relatively slow start, going into Friday's game against the Minnesota Twins. Despite his individual and team underachievement, Fielder remains a very popular and recognizable player amongst baseball fans. 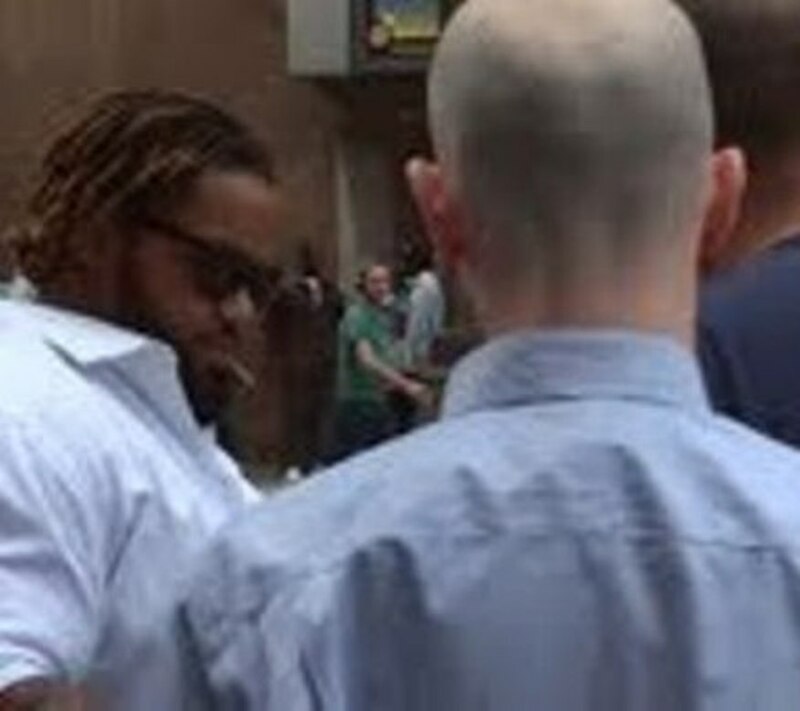 Above is an iFolloSports.com original photo of Fielder signing autographs for fans, outside of the Minneapolis Marriott City Center, in downtown Minneapolis. This scene took place a few hours before the Tigers took on the Twins at Target Field. Prince Fielder is a big man, both in terms of body and personality. This situation is quite evident when encountering him away from the ballpark.